Founded in 2003 by Andy Parsons and Glenn Holman, Floating World is a collective of artists based in Ireland the UK, and Japan whose practices encompass painting, textiles, sculpture, video and performance. 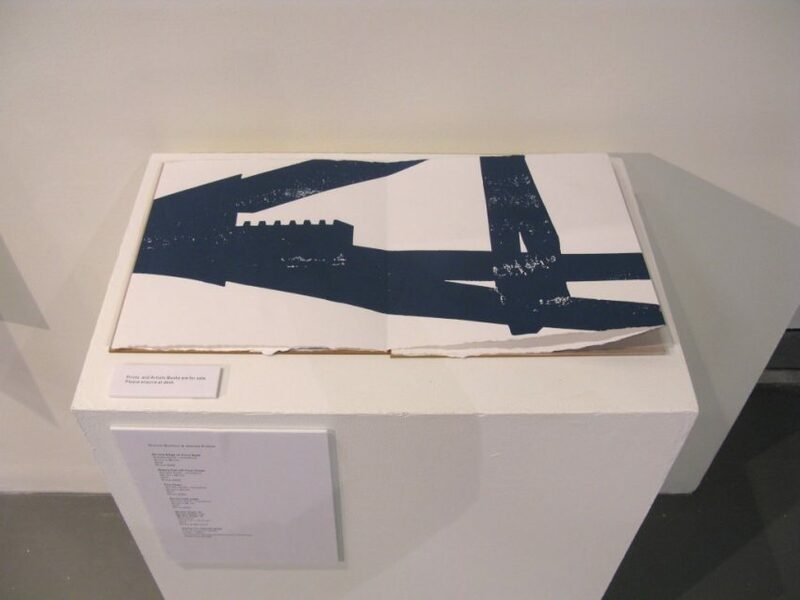 United by their use of the medium of Artists’ Books to explore areas of common concern, a major preoccupation of Floating World has been to present artist’s books in a gallery based context and to encourage critical discourse around the medium. Much of their recent work has been specifically focused on democratising the production and consumption of contemporary art. As part of Opening up the Book, Floating World will be reprising their exhibition Unfolding the Archive held earlier in 2015 at the NCAD Gallery, Dublin and the F.E. McWilliam Gallery & Studio, Banbridge. Unfolding the Archive set out to investigate the archives at The National Irish Visual Arts Library (NIVAL) and explore the richness of the archive as a starting point for the creation of new artworks. Floating World’s artists developed new narratives in response to objects in the archive which are both local and international in their resonance. Each artist approached the archive from a purely personal and individual standpoint and in a manner that reflects their concerns and interests. These range from purely visual investigations, to highly conceptual interpretations of the archive as a multilayered and shifting source of information and meaning. In reprising this exhibition at Bank Street Arts, Floating World will focus specifically on artists books created for Unfolding the Archive, and present these alongside documentary information from each artist and the NIVAL collection that explores the processes and methodologies undertaken in the development of the work. Featuring new work by artists from Ireland, the UK, and Japan, the exhibition will demonstrate the breadth of engagement and the broad range of methods and materials employed by artists to represent the relationship between the record of past arts activity and their own contemporary practice.